What is a GIF? Is this a question that has kept you up at night? If so, kudos to you. Your life is pretty stress free. But no sleep is still no sleep, no matter what is keeping you up. Let's put your mind at ease and answer the question. In the most boring terms possible a GIF is a Graphics Interchange Format. But that doesn't begin to help. Let's go to the Urban Dictionary, surely they will be able to explain GIF in a way that makes sense and probably even sounds cool. Urban Dictionary explains GIF as, "a form of computer image that moves as an animation, because it consists of frames, like a movie with no sound". Holy crud! Even the Urban Dictionary sounds like an uptight white guy trying to explain what a GIF is. Originally called 87a, GIF does stand for Graphics Interchange Format. A GIF file is comparable to JPEG, TIFF and PNG files in that it is a way to compress images. But a GIF is so much more because a GIF file allows you to store more than one image in the file itself. In 2012, GIF became a verb. It means, "to create a GIF file". In that same year GIF, in its verb form, was named Word of the Year because nomophobia (fear of not having your mobile phone) is a silly disease. There's even a huge debate over how to pronounce GIF. 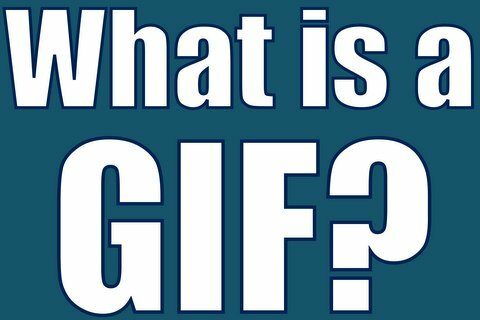 When you say GIF today, what you probably mean is "animated GIF" because the original GIF (the file form) only holds 256 colors and, as a result, it is not used in digital photography. JPEG, TIFF and PNG file formats have a much wider range of color possibilities which is why these files are more commonly used by photographers. Over the years (since 1987) GIF has been the way people describe a series of images or video clips that run over and over and over and over again in a never ending loop of gifstastical proportions. Now, it further describes the manner in which people make a GIF. Above: This is a GIF. It was GIFFed into existence. A GIF is a never ending loop of images or video clips. That's the noun form. As in, "Hey, check out my GIF." To GIF means to create a GIF file. That's the verb form. As in, "I am totally going to GIF that." "Maybe I will pop some tags." The internet and all the giffing people on it hijacked the acronym GIF and twisted it to mean something else. Kind of like "I'll Photoshop that picture." When what you really mean is, "I'll edit that picture. ", even if you use another software program. Or, "I'll Google that." When what you really mean is, "I'll do an internet search. ", even if you use Yahoo. Or, "Macklemore is a rapper." When what you really mean is, "Macklemore wears gold chains and talks in his songs." What happened in each of these instances is actually an homage (intentional or not) to Photoshop, Google and Rap music. 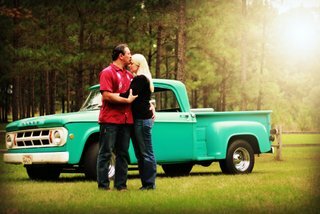 Photoshop software is so popular and widespread that anytime you make an editorial change to a photograph, no matter what brand of software you are using, it is often referred to as a Photoshopped image. People are Photoshopping pictures all the time. The same is true for Google because Google is now used as a verb. Nobody says, "I'll Yahoo that." Rap music has become so main stream that anyone who lays a beat, wears some gold chains and talks in a song is rapping. So it is with the term GIF. What started out as a mundane way for software developer Steve Wilhite, creator of the GIF, to describe an image format he created to compress data has since morphed into a term that now has multiple meanings; like ski tennis fishing. If you are still wide awake and all giffed out, go to PC Magazine to read a comprehensive article with more than a dozen software reviews on how to make a GIF. (Noun) - A GIF is a never ending loop of images or video clips. "Look at my GIF." (Verb) To GIF means you are creating a GIF file. "That needs to be GIFFed." (Acronym) GIF - Graphics Interchange Format. Was this helpful? Did you now understand What Is A GIF? Share your thoughts in the comment section below. Return Home from What Is A GIF?